Gillian Flynn’s first novel Sharp Objects was a pulpy, twisted, very dark mystery-thriller about a family’s long hidden secrets and the pain and cruelty inflicted on and by angry and abused women. 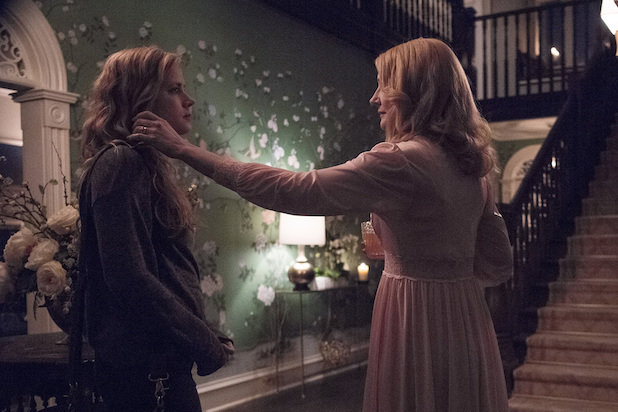 The HBO miniseries created by Marti Noxon and directed by Jean Marc-Vallee stays true to that brutal spirit but cloaks it in the veneer of the classic HBO prestige drama, recruiting talented actors like Amy Adams and Patricia Clarkson to inhabit the roles of the leads with class and convincing misery. But the show is probably not for everyone, seeing as it revels in the atmosphere of the unpleasant little town of Wind Gap, Missouri (though filmed in Louisiana and Los Angeles) and takes its time in unwinding this murder mystery that St. Louis reporter Camille Preaker (Adams) is sent back to her hometown to investigate. The novel was a swift 250 pages, so this eight episode series has to really elongate events in order to fill that time (I think they could have done this in five or six episodes, to be honest). Camille is a damaged, somewhat unstable alcoholic who barely fits the term “functioning” and there are a lot of sequences of her driving around Wind Gap, taking in the scene while fragments of her childhood flash back and forth throughout the series, leaving it to the audience to piece together what happened. Clarkson plays Adora, Camille’s cruel and uncaring mother, in perfect Wicked Stepmother fashion. She owns the local pig factory and uses her late husband’s wealth to run things in this town, while holding the corrupt sheriff in the palm of her hand. Suspects in the murder of two 12-year old girls run the gamut of just about everyone Camille comes in contact with as she tries to investigate, but the case feels secondary to the personal traumas and family drama revealed in Camille’s unfolding backstory. The series is very grim and unsettling, which matches the tone of the book yet may make for an unpleasant viewing experience, as there’s not much relief from the proceedings. 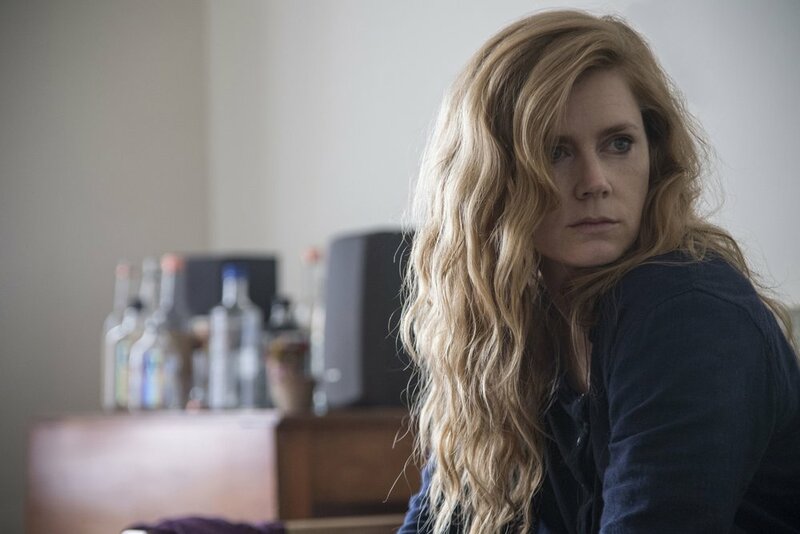 But Amy Adams is superb- she even lowers her voice a register and affects a mild southern accent to convey the depths of Camille’s pain and vulnerability, and the same goes for Clarkson and especially newcomer Eliza Scanlen as Camille’s half sister Amma, a hellion who rules over the younger girls in Wind Gap and figures into the mystery in her own way. If you haven’t read the book I’m not sure if there are enough clues dropped along the way to wrap you up in the whodunit of it all- this is the kind of show that wants to place you into this disturbing atmosphere so that you can maybe infer what happened while becoming caught up in the lasting effects that abuse can have on female survivors of trauma. The rage, the misery, the disappointment, the festering open wounds- it’s a pressure cooker waiting to drive some people to the breaking point. Imperfections aside, the show is an impressive achievement- a slow burning, but highly satisfying drama that gets under your skin and stays there.